Today we were going to kayak to Checats Springs for a hike, and, if the Behm canal was decent enough, possibly paddle over to New Eddystone rock. The paddle to Checats definitely broke our friends into how powerful the ocean and waves can be. With a headwind and 2-3 ft chop I wasn’t sure, even in double kayaks, if we would ever make it to our destination; for every paddle stroke forward it felt like we went back 3. Finally, we made it into the cove and out of the wind. It took us some time to find the trailhead. The area had been pounded by a storm a few months prior, so there were so many downed trees it made it impossible to know where the trail was at times - especially considering none of us had been here before and cellular devices don’t work in the Misty’s. Not wanting to spend our entire day hiking, we decided we had gone far enough and returned to the beach for lunch and Sun. As we left the cove on our way back to the cabin we noticed a pod of Dall porpoises heading through the now-glassy waters making their way towards New Eddystone. We also figured this was the perfect opportunity for us to kayak across Behm Canal for a look at The Rock. These were definitely the best conditions I have ever experienced while in the canal; the sun was out, there was no wind, and the water was glass. As we headed for the island, one of the friends started freaking out. They were not a fan of kayaking across this much open water and they hated the fact that they couldn’t see under them. We found out later the reason they were a bit distraught because they thought the Dall porpoises were orcas (“killer” whales), they were sure they were going to tip us from our kayaks and eat us. As one kayak left and headed for the cabin, the rest of us headed across Behm canal towards Eddystone. The paddle across was effortless. The boat slid through the water so gracefully. This was the moment I fell in love with Alaska. Once reaching New Eddystone we took a few hours to enjoy our lunch and hike around until the tide turned and carried us down to the cabin. We had a slight breeze, but for the most part, the waters were fairly mild. (There’s no better way to experience the waters of Alaska and the beauty they hold than the quiet solitude of a kayak, especially the Misty Fjords. Feet away from thousand-foot vertical granite walls, and inches from the sea’s surface you can’t help but soak in the grandeur; the Misty Fjords are a must see for anyone coming to Alaska. No matter how you get there, however, any Misty trip is worth the time. Each experience is different and something truly special.) By the time we made it to Punchbowl cove everyone was pretty tired from the long paddle that day, so we all set up our tents to prepare for the night. The one thing to keep in mind when doing anything in the backcountry is that we have bears. Although I have never had a bad experience with a bear, I do my best to make sure I don’t put myself in a position where I might. Once our tents were set-up we walked around the cove to prepare our cooking and eating area and find trees to hang our food and supplies in. After dinner, we headed to our sleeping area to start a fire. There is nothing that brings people together quite like a campfire, beers, and stories in the backwoods of Alaska. The beer taste better, the fire feels warmer and the venue for your stories puts any man-made theater to shame. My partner and I had just recently moved to Ketchikan for an adventure of a lifetime. On our 2-day ferry ride to town, we worked on our Ketchikan/Southeast Alaska bucket list. One of the top items on that list was to visit the Misty Fjords National Monument. To this point all, the sum of our experience with the Mistys was a flightseeing tour out of Ketchikan that included a brief landing on an alpine lake - or information we had read online. The pictures and history of the Ketchikan area were exciting and intriguing to us, especially New Eddystone Rock which was formed at the end of a volcanic vent where magma repeatedly rose to the surface of the earth. How amazing! I knew once I read that I had to go and see Eddystone from a viewpoint most people never get to experience. Because we felt this was going to be an adventure of a lifetime, we invited a group of friends and their partners from Idaho to join us. This proved to be an excellent idea, though stressful. Being the most experienced of the group (which meant having an entire year of experience of living in Alaska), we were deemed as the most knowledgeable and the experienced for leading the voyage. If they only knew our knowledge only consisted of how much it rained in Southeast, I wonder if they still would have trusted us as much as they did. The route we had chosen included a stay for a few nights at Punchbowl cove, then kayaking to Winstanley Island Cabin for the remaining two nights. To give our friends a different perspective of the adventure we were about to head out on, we decided to send them by float plane for a bird’s eye view of the area while my partner and I boated out with all of our gear and kayaks in the water taxi/private charter. Just before we were about to depart we told our friends, “NO MATTER what, if you arrive at Punchbowl and we are not there, DO NOT GET OUT OF THE PLANE. We have all of your gear and supplies. We are your life-line in the Alaskan wilderness.” This was the first broken rule. Our friends departed Ketchikan by floatplane an hour later. Final destination; Punchbowl Cove. This was the group’s first time in Alaska, so they had no idea what was in store for their time in the Alaskan wilderness. The only regret we have is not seeing their faces when they flew through the Misty’s. What I do know is they saw a pod of Orcas by Eddystone, which caused someone later in the adventure a little bit of a panic situation. There was so much to take in they had forgotten the one rule we had told them before we parted ways. They were so excited to look around, not realizing at the time we were stranded at the cabin with all of the gear, food, and the kayaks, they left the plane and decided to wander around and wait for us because we should be there at any moment. Thankfully, the pilot of the floatplane decided to look for us on his way back to town. He came by the cabin and we were able to flag him down. Once he landed we explained the situation and how there was no way we could make it to the group by nightfall. So, the decision was made; he would go back and pick up the group and bring them to the cabin. Wow!! The cabin was awesome, and we were its first occupants. We moved in quickly, ready to get in our gear and head out on the water in our kayaks to drop the crab pots and show the group the petroglyphs on the wall the captain of our boat had pointed out earlier. That night the excitement of the week to come was high. The fire was perfect, the crab pots empty, but the moods were high. Planning on fishing out of Ketchikan this year? Better know the regulations… We have our top species listed with some insight from captain Tony Moucha to give you a guide’s perspective on the coming season, along with a link to the full ADF&G regulations book. Take a minute to check it out here as you plan your Ketchikan sport fishing adventure with Baranof. Outfitting: A necessary evil, or an excursion highlight? When Baranof first started, we were outfitting our guests out of the back of a canopied truck. I spent a half-hour each departure rummaging through stacks of boots, raingear, gloves, etc. as we decked out our guests. That first year I was making multiple trips each morning to Tongass to buy extra gear as we ran out of the appropriate sizes. (Our initial offering of Wilderness Dining attracted a lot of families, which it still does, so when we needed an extra-large or extra-small set of gear, it typically meant we’d need 4-5 for the whole family.) Fast forward 15 years, and my father’s love for beating any problem into submission is evident by the fact that we have indoor dining at our restaurant… The seating area at the Alaska Fish House was originally built to turn our outfitting process from a necessity into an experience. As the popularity for the Fish House grew, however, we constructed an 80-foot outfitting room at our marina, which is still in use. Necessity being the mother of invention, however, we’re not done yet – this winter we’re building another outfitting room to be used in conjunction with our current building. Enter William Hink, the master carpenter and night squid-fishing enthusiast. He has been working with Chuck for the last few years on all our building projects and his pride is evident in his work. This winter dad’s turning Will loose on a new outfitting room that will serve not only as a place for our guests to get garbed for Southeast weather, but will play a critical role in the Baranof experience. William enjoys working with Chuck because his creative side is encouraged; dad wants Will to spend a little extra on fancy nails, for example, if they’re to be used where guests can see them. (That may sound silly to mention, but my point is that the finest details are not overlooked when William puts together a blueprint.) Outfitting guests for a day on the water are sort of like the opening act at a concert; the customer often views every minute spent as wasted, and keeping them from what they paid to see. It’s William and Chuck’s mission to provide a venue that allows our opening act to be an authentic, memorable Alaskan experience. We’ll be posting photos of our progress in the months leading up to the season. 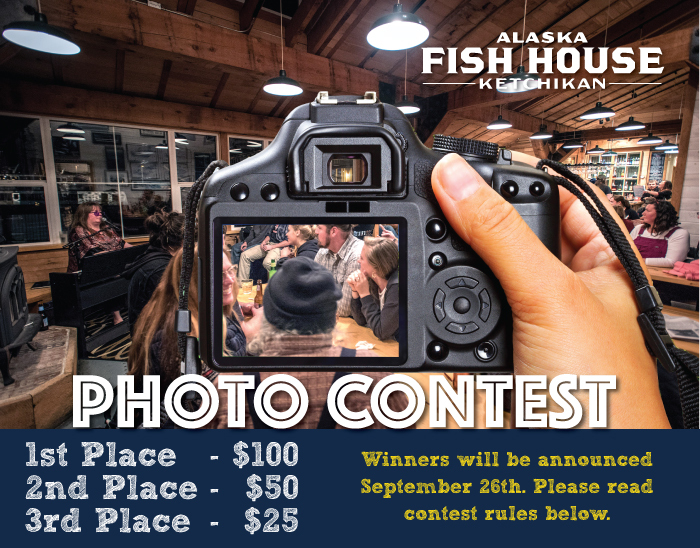 Check back here or on any of our social media outlets for updates and discussion; first-time guests will garner a little peace of mind knowing they don’t have to dress for an arctic expedition for a day of fishing in Ketchikan. For the last 30+ years, my father’s companies have been involved in the cruise ship tourism industry. During that time, he’s gained a fair amount of insight into what makes them tick. He’s developed and maintained professional relationships and personal friendships with many cruise line employees, and he’s seen assistant shore excursion managers work their way up the ladder to senior management. He’s maintained these relationships and addressed his business concerns through one-on-one interaction by traveling during the offseason to get in front of the cruise line decision makers. Only so much can be done over the phone or via email, neither of which plays to his strengths of identifying an opportunity and addressing it swiftly. I’ve had the pleasure of sitting in on many of my father’s meetings, dinners and dockside interactions ever since I was a child in St. Thomas, U.S.V.I., and this year the training wheels came off as he sent a team, rather than himself, to meet with some of the cruise lines based in Miami. My wife and I, along with Bonnie Steinberg (you can get to know her here) and her husband arrived at Miami International the weekend prior to our Monday and Tuesday meetings to get over the jet lag of traveling from Alaska and Missouri, pad around Bayside Market for a day, and meet with each other to go over our information and game plan. We knew what we wanted to present to each cruise line, but even though I’d come up with an agenda and set of goals to accomplish with each group, the entire point of the trip seemed very nebulous to me. “What are we trying to do down there?”, I asked my dad. “I don’t know – whatever. We’re not really offering anything new, but every time I’ve made a trip to sit down with these folks, something has happened that made me glad I did. Get to know them, let them get to know you, and good things will happen.”, was his response. I’m glad I made the trip. While I’ve been excited to work for my father and be a part of the team that he’s created, getting in front of our business partners has changed things for me indefinitely. I thought I had a clear idea, but never understood the passion that the people that are successful in this industry have for providing memorable experiences to their guests. I’m not talking just about Baranof; this website is replete with me expounding on the authentic, family, exclusive, etc. experiences we provide. I’m talking about the cruise lines. It blew my mind that out of the hundreds, if not thousands, of excursions that each one of these lines offer, the managers we met with knew in intimate detail every aspect of our little operation in Ketchikan, Alaska. I can’t overstate their commitment. Bonnie and I, along with our spouses and a cameo by guide Jeff Kraynik, spent an hour or more with each cruise line over the two days we were down there identifying what we do well and areas for improvement. These are busy people, and I was prepared to be ushered out after a courtesy meet and greet, but to a business, they were bringing in customer service specialists, shore excursion managers, inventory control directors – you name it. My point is this; while any business will tell you they work hard to provide a great customer experience, I can promise that every cruise line I’ve met with to date will offer only a great customer experience. They are large companies, which in my small-town mind would intuitively preclude them from offering the attention to detail that a mom-and-pop operation can. The converse is true here – with the backing only a multi-national business can provide, these groups have provided the resources and qualified personnel to ensure that each one of their thousands of guests is treated personably, respectfully, and as a valued customer. I’ve been proud to find work at my father’s company and be a part of what he’s built. Since our trip to Miami, that pride now extends to this entire industry. While the goal of any company is to make money, I know that we’re blessed to be working with companies and individuals that enjoy their work for the service they provide. The successful people in this marketplace, as with any, are those passionate about what they do. In this industry, that translates to directors and managers as concerned about you checking bucket-list items off as you are, with a commitment you can’t demand with salary alone. The next morning we awoke to some fairly decent weather by Southeast Alaska standards; high cloud layer around 2,000’, 5-10 knots of wind, a drizzling rain, and visibility of about 10 miles. Dad decided it was worth a look, so we packed up, bid our farewells, and taxied out to continue our journey. With nothing to do as dad got us airborne and out over the waters surrounding Cordova, I remember marveling at how big Alaska really is. I’d grown up “in” Alaska, but had never spent an appreciable amount of time outside of Southeast. The night before we’d borrowed a truck from the local air-taxi operator (might seem weird loaning a car to a complete stranger, but he had our airplane… Again, welcome to Alaska!) and drove out to the Copper river for some sightseeing. On the road we were stopped by some oncoming traffic as a moose, towering over the cab of our Chevy Silverado, decided he had the right of way as he ambled past us without so much as a “thank-you” bob of his head. After this short delay we made our way to the river, completed our sightseeing trip, then headed back to town without further deer-delay to bed down for the evening. My reminiscing was interrupted by a few curt words from my father. “Get the chart”, he said. (This was alarming to me in a way as, even though I was too old and experienced to admit it out loud, I was still young enough to be surprised that my father needed assistance from something so rudimentary as a map. (Next, he’d be consulting instructions to put together a Lego castle…). Peering about as I pulled out our sectional chart, I began to understand the situation. Like the children in Chitty-Chitty Bang-Bang realizing the tide had come in around their magical car as they were lost in their father’s story, the weather had deteriorated at an alarming rate around the plane I was riding in while I was lost in thought. There had been a storm in the area the last few days, and the stubborn thing was still there – visibility was down to a couple miles, the rain was driving in winds of at least 30 knots, and the seas below us were 40’ swells. Save for the swells, the conditions would not have been out of the ordinary in Ketchikan; I believe the old timers would have termed these conditions “pretty crumby”, compared to the “pretty good” conditions we’d departed in (during my day-dreaming session we’d blown right through “kinda scuzzy” and “a bit bumpy”). However, over the open ocean, with no other point of reference now that our visibility was gone and we’d since left Henderson Island behind us, my dad wanted me to find a heading from Seal Rocks to Montague island. We estimated the strength and direction of the wind by looking at the seas below us, came up with a crab angle, and continued on to Montague. Once we got there, with the conditions getting worse, dad told me to find a place to land. On our map was a small lake situated just inland from the south shore of the island. We buzzed around over the lake for a minute as dad contacted an airliner overhead on the emergency channel of 121.5. He asked them to call his wife and let her know we were going to camp for a night or two and we’d call when we got to Seward. I don’t remember the name of this lake, but I do remember, much to my indoorsman delight, that it had a Forest Service cabin. We touched down, taxied to shore, tied off the plane with every rope we had, and schlepped our gear through the trail to the cabin. This Forest Service cabin was the same design as I was used to seeing in Southeast at places like Ella lake and Manzanita, but it was fortified like Bert from Tremors had prepped it for the apocalypse. My ignorance of moose driving habits serves as a good example as to why I hadn’t even considered the idea that the area would have brown bear wandering around… One bear in particular seemed to have the cabin lands designated as his territory; Hercules was his name, and the cabin logbook was full of accounts of him hurrying to the sound of gunshots to feed on what deer remains hunters had left behind after making their kill. We never met or saw any sign of Hercules, but my father did scare the life out of me during our second night at the cabin when he woke up and knocked over some gear on his way to the door while I was still sleeping. Bears aside, this cabin was a God-send. Some canned goods had been left behind by previous occupants. Though someone had erroneously believed mayonnaise had any kind of shelf life, the rest of the food, along with the tuna packets we had with us on the plane, served to provide us with some delicious fare. Our 3-day, 2-night, all-inclusive resort stay at the Chalet de Montague resort was an incredible bargain at $0.00 U.S. We were responsible for our own 2:00 a.m. tree-clearing, as the lake level rising a couple feet during the storm necessitated chopping down a parking space to keep our airplane from bobbing its way to a new location, but this was a minor inconvenience compared to any and all accommodation alternatives. Once the storm passed, we loaded our gear on the plane, filled out the logbook at the cabin with tales of our travails, and took off from the by-now much larger lake. We headed to Seward, but it was socked in, so we landed in Homer. From Homer we made our way to Anchorage after fueling up, gave the plane back to the owner, and hopped on an Alaska Airlines jet back to Ketchikan – all according to plan. Compared to the rafting adventure he’d taken my brother and I on from Upper Mirror to Lower Mirror lake, things had gone surprisingly incident free by my father’s standards on this trip. But that’s a story for another time. Ella lake, located in the Misty Fjords National Monument, will always be dear to me – specifically the Ella Narrows Forest Service cabin. For my 10th and 12th birthday, my mother rented the cabin for me and some friends for a few days, and my father or one of his pilots flew us out. My 12th birthday was especially memorable because my father, operating Twin-Otter seaplanes at the time, was able to pack me, my brother, our labrador Gunner, six friends and a chaperone into one plane for the 20-minute flight to the lake. The cabin is designed to hold six guests on the two single and two double bunks, but we made it work. Upon arrival, we hit the beach like we were storming Omaha and raised general hell for four days; 8 kids, a cool chaperone, bags of fireworks, and plenty of axes to go around. All USFS cabins, at least the four or five that I’ve been to, follow the same 12 X 14’ design. Half the room is occupied by two bunks with a table in between. There is a window/refrigerator (shelves built outside the window, surrounded by a cage, allow you to keep the food you don’t want at room temperature protected from varmints but at hands-reach). One wall has shelves built along it with cupboards overhead, and there is a wood burning stove taking up the remaining space. The bunk/table situation is pretty cool as the bottom bunks are extended to provide sleeping room for two (top bunks are singles unless you’re very friendly or kind of tiny), but also double as seating for the table located between. A lot gets done in a very small space with these cabins, and if you’re willing to cram a couple people under bunks on the floor they can accommodate more than just the six sleepers they’re designed for. To either side of the Ella Narrows cabin you’ll find, in my opinion, one of the two best sections of beach in all the world. To the East is a roughly 200’ long stretch of what Alaskans call sand, something in short supply in our area, but the beach to the West is my favorite. Although the beach is made of rocks ranging from D1 to basketball-sized, by and large, they’re weather-worn smooth, so you can navigate without shoes on and not lose any blood. Extending into the icy waters off this beach, however, is a good basketball court-sized area of shallow water. Sediment deposited from the mountain run-off has created a 2-4 foot deep area of water that warms a bit during the day. By no means “comfortable” by bathing standards, it does maintain a temperature high enough that you can play a few downs of tackle football before catching hypothermia. (Side note: there is an even larger flat like this at the inlet of Lower Mirror lake, but if you want to spend a weekend camping there you’ll need a tent.) During my 12th birthday camping trip, we spent a lot of time at this beach. There are some large dead Alder trees near the beach, so we axed a couple down and had a roaring fire going for most of our stay. This allowed us the uncommon opportunity to spend the days soaked to the bone without turning mostly blue. Forest Service cabins provide a modicum of civility to even the uncivilized. Anyone planning a trip to Alaska would be wise to consider spending a night or two in one of these rustic but comfortable chalets. They come stocked with firewood, they have a boat with oars, and they’re serviced every year by crews that ensure a safe, clean environment for you and your family to enjoy a few nights in the Alaskan wilderness. 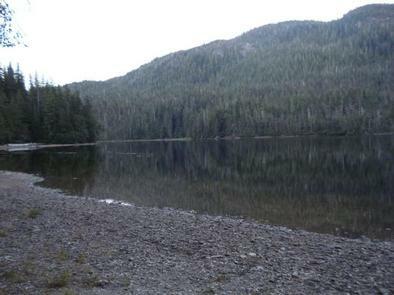 Guests can visit Tongass Trading Company for any camping gear they don’t bring with them. Many of the cabins are located on alpine lakes in the Misty Fjords National Monument, so chartering a seaplane flight from any of our air-taxi’s is recommended. Others, such as Winstanley or Alava Bay cabins can be reached via boat. Whatever your desires for a rustic getaway, the United States Forest Service has a location and cabin built just for you. Nobody would ever describe me as passionate about cooking. Whether it’s due to my being colorblind and having a tendency to overcook things – “It LOOKS done, but better give these burgers another 20 minutes, because E.coli…”, my lack of planning – “Cordon Bleu sounds good, I bet I have everything at home, just need these breadcrumbs…”, or my predisposition towards complete laziness, I don’t spend a lot of time in the kitchen. Since my kids started growing teeth, however, necessity has truly been the mother of invention, and my forays to the grocery store have widened in scope to include more than just the freezer aisle. Mine is a culinary story of many defeats, some draws, and the occasional act of God. When I pull things out of the fridge, develop grudges against innocent ingredients, but somehow put something on the table that the kids don’t “accidentally” drop on the floor or leave my wife with a look on her face usually reserved for a Lifetime Original movie, I know my acceptance in our home is secured for at least one more day. This is the story of last night - when the light of providence bathed me and my halibut tacos in its radiant glow. Last winter my brother took his wife and two kids camping out on some island he doesn’t remember. Before setting up on the beach for the night, they dropped a longline out in the bay. The next morning, they headed home after pulling up a couple hundred pounds of halibut from their set. (There’s a lot more to this story, but I wasn’t there and Jack (my aforementioned brother) is at work, so that’s all you get). As any good son would do, he gave our mother and her husband all the fish that wouldn’t fit in his freezer. Jump ahead a few months, and my momma is visiting me and the kids here in Missouri. For this trip, Mom and Dan (my aforementioned step-father) bought a van, loaded in a chest freezer, and ferried it to the mainland for a month of visiting grandkids. Luckily, they stopped in Missouri before heading to see Michael (my not aforementioned step-brother) and his new little girl in Colorado. Out of the chest freezer and into mine were some spot shrimp our friend Aussie Rob caught, some salmon Mom and Dan pulled out of the water, and a bunch of halibut slabs my brother and his family took from the bay of an unnamed island in Southeast Alaska. The food grown in Missouri is amazing compared to what I grew up within Ketchikan, but there is no replacement for excellent fish and the taste of home, which I’m eternally grateful my family is willing to provide. Long story short, my brother killed some fish in Alaska, my mom drove it to me in Missouri, and I fried it in a cheap pan on a dirty stovetop. Halibut tacos are actually easier than regular tacos. When you make tacos with ground beef there is a ton of work that goes into the prep; finding a cow and turning it into ground beef, chopping onions, and finding a cooking spoon that doesn’t have holes in it can take an eternity. With halibut, you just pull it out of the freezer the morning of, slice it into portable-phone-charger sized portions, season and fry for five minutes (flipping once). Heat up some corn tortillas, layer sliced cabbage for texture (and to prevent the halibut from breaking out and escaping through the bottom of the food frisbee), grated cheese, cilantro, and lime juice, and *BOOM*, your progeny are eating food they can’t come close to appreciating. While loading up with tomatoes, onions, and other common taco complements/ingredients can be tempting and aren’t discouraged, I prefer to keep things simple when I’m dealing with my scarce supply of fish. Yesterday, everything went according to plan. In the morning I pulled a vacuum-sealed 2 lb. filet of halibut out of the freezer and tossed it in the sink. After picking the kids up from school we headed to the local grocer for “taco stuff”. Once at the store, and with the children sent on missions of obscure product procurement, I was able to swiftly and efficiently locate pre-shredded green cabbage, paprika (I didn’t end up using it for the tacos because I forgot, but I bet it would have been awesome), chili powder, salt, little corn tortillas, peanut oil, lime juice, salsa and a brick of mozzarella. A lot of this stuff you may already have in your home, but that’s a level of adulting I haven’t reached yet. I also grabbed a sweet potato for sweet potato fries as a side. Once the kids came back from their respective missions empty-handed (“Real Mayo” is a thing, but they never find the jar of “Fake Mayo”, and 3% milk doesn’t exist) we headed home for some anxiety fueled cheffing. Everything went better than expected; I didn’t have any flour, which should have been included with the seasoning to prevent the halibut from breaking up, but the size of the fish was good enough that it didn’t segment when I fried it. The fries weren’t cooked nearly long enough, but the children probably wouldn’t have eaten them even if they had been, picky as I allow them to be… All in all, though, it was a good meal. The kids were full, the wife wasn’t fiddling idly with her ring, and I had enjoyed a dinner that reminded me of why growing up in Southeast Alaska was such a privilege. Baranof Fishing Excursions is offering an Early Booking Discount for 2019 Fishing Excursions. Are you planning on Stalking Salmon while in Ketchikan? Or are you more interested in Hunting for Halibut? Have you experienced our popular Cook your Catch program? No matter what your interest is, Baranof Fishing Excursions is in the business of creating authentic Alaskan experiences for you and your family. Our fishing rates. The 2018 season is over! The 2018 season is over! Baranof and the Fish House would like to thank the crew and customers for an outstanding year. Baldwin’s duties as General Manager during the offseason have proven critical to the success of our business. 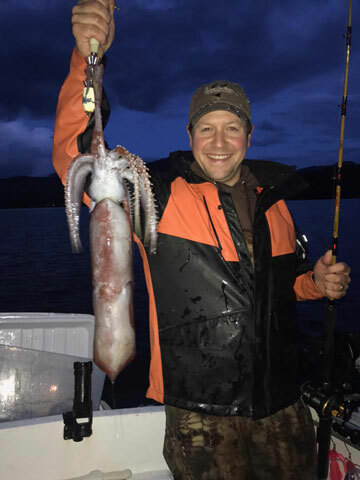 While, like any good fisherman, he would rather be on the water than in an office, his passion for what Baranof offers its guests provides him with the motivation to attack all opportunities for improving the customer experience with a very personal dedication. Chris has a business degree from the University of Alaska. This means that while he is outfitting the fleet with new gear or working with Raider designing a new boat for Baranof, he is able to do so with both the customer and the company in mind; he knows what would add value for our guests, and he has the business savvy to enact those improvements in a way that keeps the owner happy. Chris is also in charge of finding, hiring, and training new captains. Many of the local sportfishing operators began guiding at Baranof Fishing Excursions, then moved on to begin their own business. We wholeheartedly support this and work closely with many of our former guides every summer, but we do need to man the vessels they’ve left behind. This year’s new recruits (Jamie, Josh, and Isaac) are a prime example of how far Chris will look to find captains that not only think of fishing every minute of the day, but also those that are passionate about providing a unique experience to their clients; there are a lot of folks out there that will work for us taking people fishing, Chris finds the kind of person that would do it for free. Chris wears a lot of hats throughout the year and wears them well. He always has time for educating his guests, guides, and coworkers on what it means to provide the best possible experience to our guests, and proactively seeks ways to improve both his own fishing abilities and those of the company as a whole. His personal desire to exceed the expectations of his clients are perfectly inline with the goals of Baranof Fishing Excursions. We’re lucky to have him and proud to have him represent our company. As Baranof’s Lead Guide, Chris is the perfect person to ask if you have a question on Alaska fishing. One of Chris's most marked traits is that he has an unquenchable curiosity. If Chris can't find the answer within his own personal resources, the guide pool, or friends and family in Southeast Alaska, he'll find a way to get it. He's a prolific reader when it comes to fishing, and he's always ready to listen to stories from either the old timers or one of his fellow guides because he knows he might walk away with a nugget of fishing wisdom. Because of this, he's a wonderful resource on Alaska fish and all things fishing. His administrative duties have him working closely with our Operations Manager (Andy Mikkelson) to ensure the safety of our guests while at our facility and efficient transition from the dock to the boat. He is also responsible for addressing any suggestions his guides have toward improving the overall customer experience. As a guide, Chris has an amazing dedication to his clients; he's always focused on ensuring everybody has a successful day on the water. A typical day with Chris would have you running 45-60 minutes out to the back of Duke Island, Mary Island, or one of the other areas touched by the bordering open ocean, which often gives access to a wider variety of fish. Rock cod and lingcod are more prolific in the areas that are fed by the open ocean currents, and Chris knows it. He's always trying out new cuts for herring plugs, a different reel, or the unique technique he just picked up off the fisherman he met in Thomas Basin. Chris's willingness to experiment with bait, tackle, and different fishing techniques is one of the reasons he is one of our most consistently requested guides.